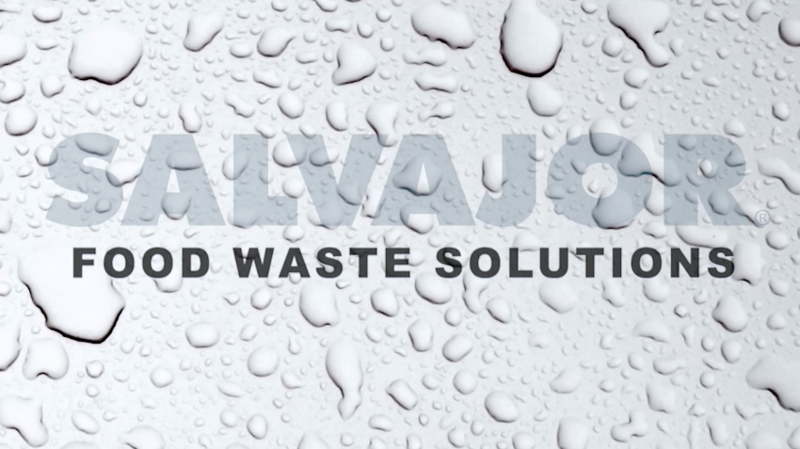 The second type of food waste collector solution is made by Salvajor. 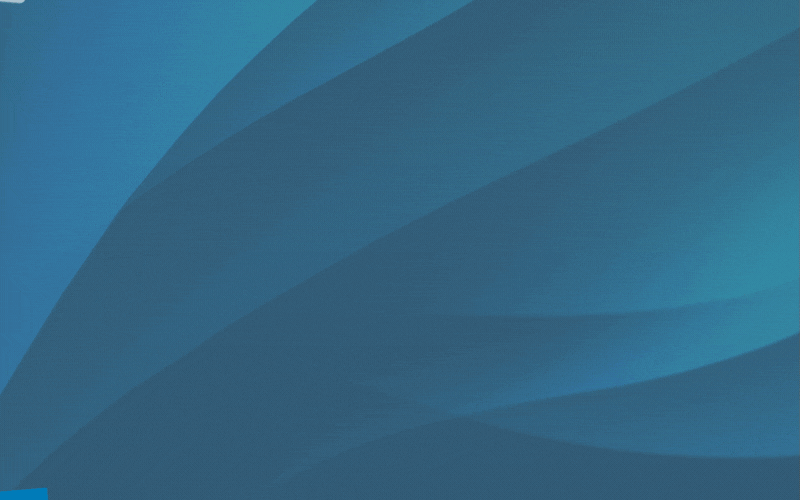 Let's take a look at how this alternative works by analyzing a basic problem/solution scenario. Take a typical dish room. 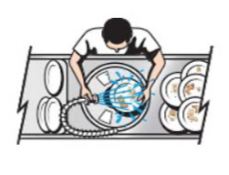 A person using a pre-rinse spray is scraping, racking, pre-rinsing, and loading dishes at a rate of 60 to 70 racks per hour. If a conveyor dish machine is used, the operator cannot keep up. Most communities don't allow the use of food waste disposers. Food waste collectors from Salvajor. Scraping speed is more than doubled with Salvajor units when compared to pre-rinse spraying. Why? Both hands are free for scraping, and a powerful plume of water constantly runs over the dishes. * They are great alternatives to dirty, smelly, garbage cans. * Because they recirculate water, they use less than four litres of water per minute in auto start mode and seven litres per minute in standard operating mode. Pre-flush water plumes recirculate at a rate of 110 litres per minute. * Salvajor Collectors reduce food waste bulk and weight while costing less than more complicated pulpers. This simple design, with the pump as the only moving part, means reduced maintenance, as well. * Most communities in Canada accept the Salvajor Collector line for food waste disposal. Salvajor Collectors are available in three different configurations. The Scrap Collector can replace typical, pre-rinse sinks for door and rack conveyor type dishwashers. 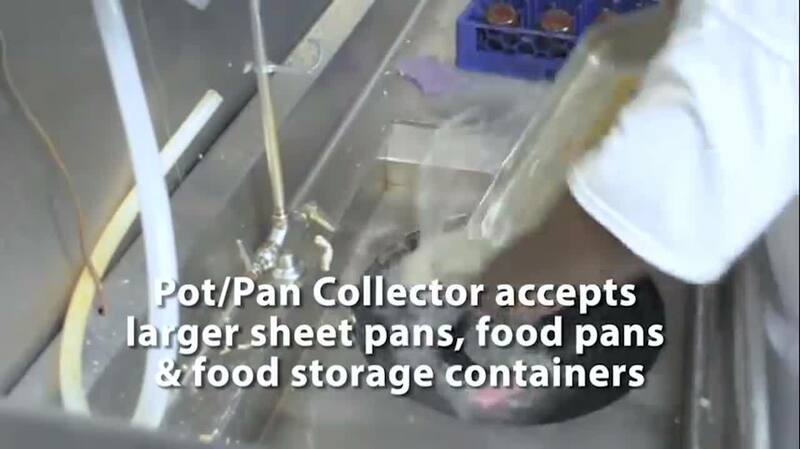 The Pot/Pan Collector can be used with pots and pans. And the Trough Collector is better for larger, high volume operation. To learn more about how Salvajor can help your Canadian foodservice operation save on water consumption, schedule some time with one of our experts to go through the numbers line-by-line based on your current or expected usage.